Stormwater is starting to get some serious attention in California, as the state’s drought enters a fifth year. 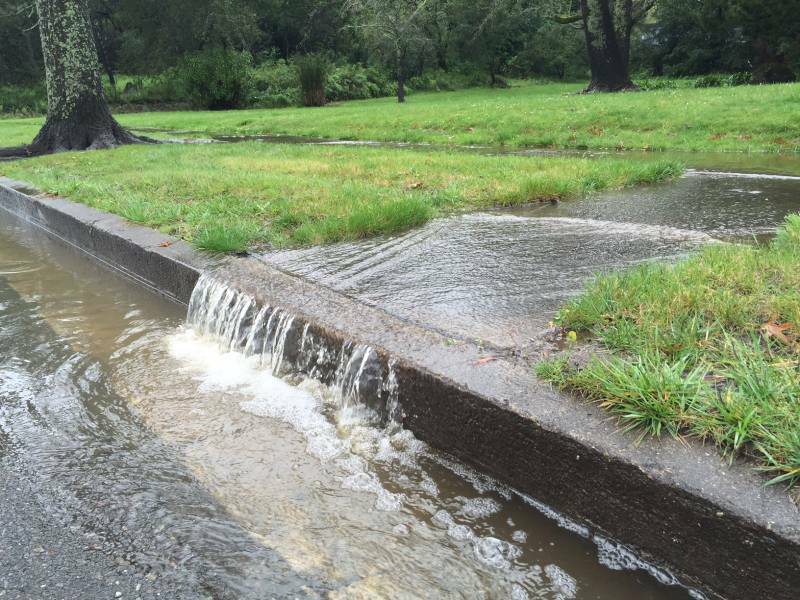 Thanks in part to El Niño, rain has been surging through downspouts and gutters lately. And a lot of it: one storm in Los Angeles County, packing one inch of rainfall, means 10 billion gallons of water. 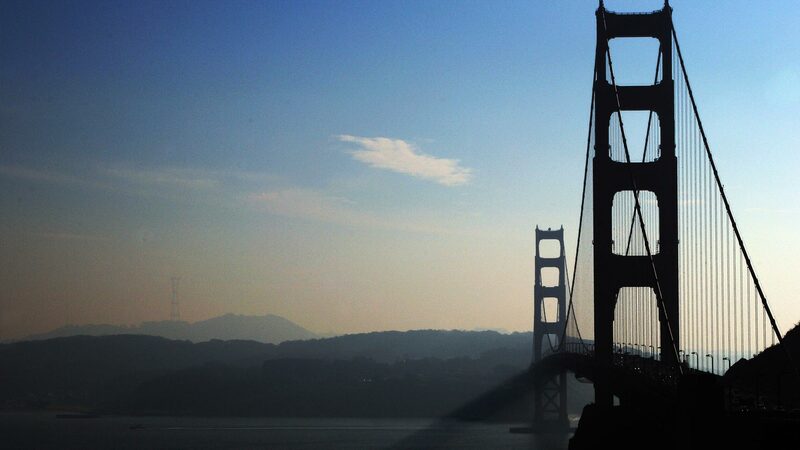 The Oakland-based Pacific Institute estimates that rainfall captured in the San Francisco Bay Area and metro Southern California could, in a strong year, provide enough water to supply the entire city of Los Angeles. Most of that usually runs out to the ocean. But concerns about the state’s water supply, heightened by drought conditions, are one obvious reason that’s changing. In Walnut Creek, behind a ranch-style home, landscape designer Ryan Kelsey is helping people do that—at least in the short term, and on their own properties. 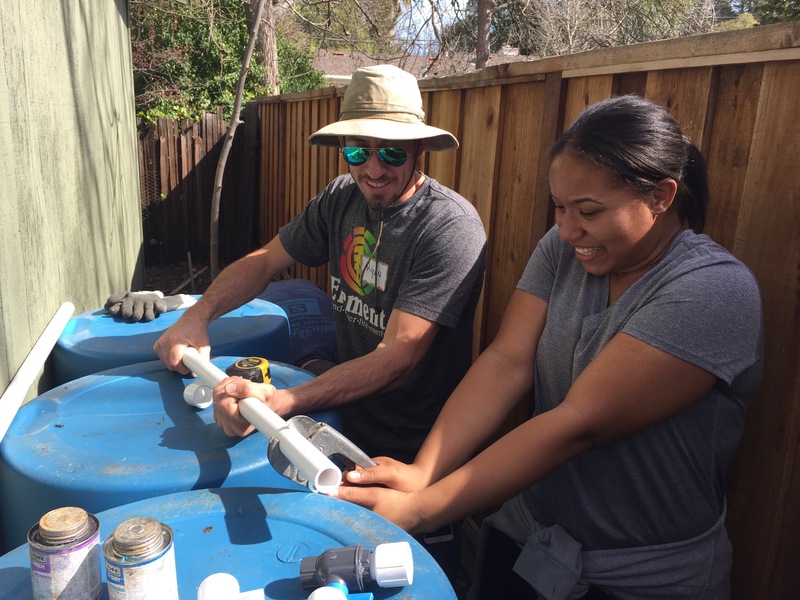 On one recent day, Kelsey is teaching a handful of people how to harvest water from the sky by connecting plastic pipe to three barrels. The system will serve a half-acre yard scattered with chickens, fruit trees, and vegetable beds. He shows student Zekeisha Plummer how to slice up the pipe with a cutting tool. Setting up rain barrels is a lot of work. “One trick I use, is that I put my palms on either side,” he begins, as Plummer sighs with frustration. In a hard rain, those barrels will top off at 165 gallons combined: that’s a literal drop in the bucket compared to the yard’s water needs, let alone the state’s. Flood control also has long driven interest in stormwater. It’s increasing in importance, especially where flash storms may become more frequent. For 75 years, the Orange County Water District (OCWD) has added to its supplies while it controlled rushing storm water, trapping it along the Santa Ana River and slowing it down so that the water can be infiltrated into an aquifer below. “We’re pretty good water accountants here,” says Scott Nygren, OCWD’s operations manager. In an average year, the OCWD captures around 80,000 acre-feet of stormwater, an amount it says is enough to serve a quarter of a million households - once it’s cleaned up in the district’s state-of-the-art treatment system. Nygren shows me a massive field he calls an infiltration gallery, near the district’s Anaheim office. Buried here are massive slotted pipes, covered by a fine mesh cloth. 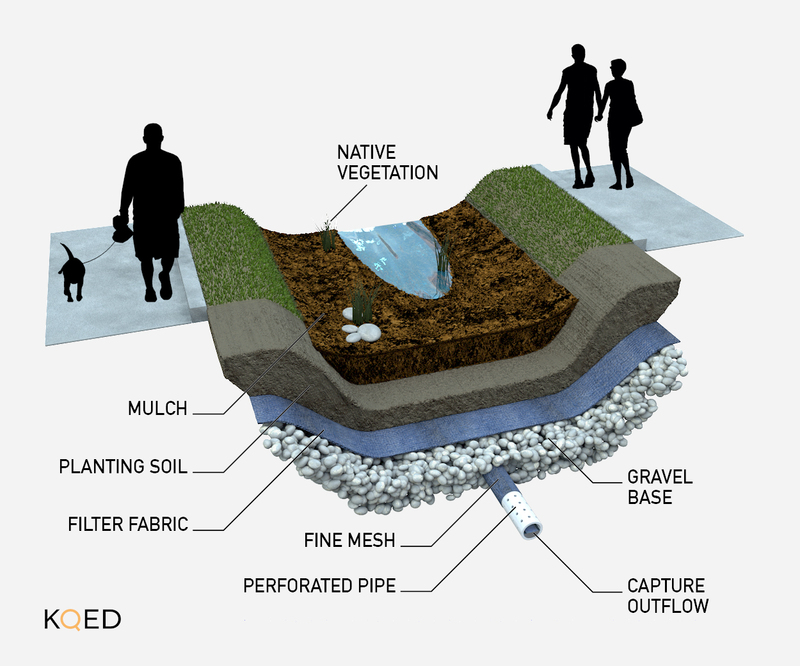 Bioswales are landscape features designed to capture and filter rainwater runoff, usually installed in medians or urban parks. The water is used to recharge aquifers or is sent to water treatment plants. A third reason to control stormwater is to control its associated pollution. Rainfall in urban areas that hits pavement picks up oil, chemicals, dirt, viruses, and bacteria and carries them into water bodies. Since the turn of the century, the threat of penalties associated with runoff pollution has increased the urgency of controlling stormwater in Los Angeles County. In the city of Los Angeles, the Department of Water and Power (LADWP) has set a goal to quadruple its stormwater “harvest.” The core of the plan is to collect rainfall in natural basins or washes, and let it slowly fill up underground aquifers. Around the state, it’s common for stormwater capture projects to serve multiple benefits simultaneously. But large plots of land that can soak up water in urban areas are scarce and growing scarcer. And around the state, so is money for potential projects. Proposition 1, a water bond passed two years ago, created a $200 million pool of grants for stormwater capture. But the Public Policy Institute of California estimates that meeting stormwater rules already on the books could require an investment of five times that. More likely, the future is in smaller local and regional projects. Some regional-sized plans are moving forward. In Los Angeles, the LADWP is converting a former quarry to a wetlands park with trails and a playground. In Central California, UC Santa Cruz researchers have tested a pilot project for stormwater capture, and regional water managers are considering expanding the program. 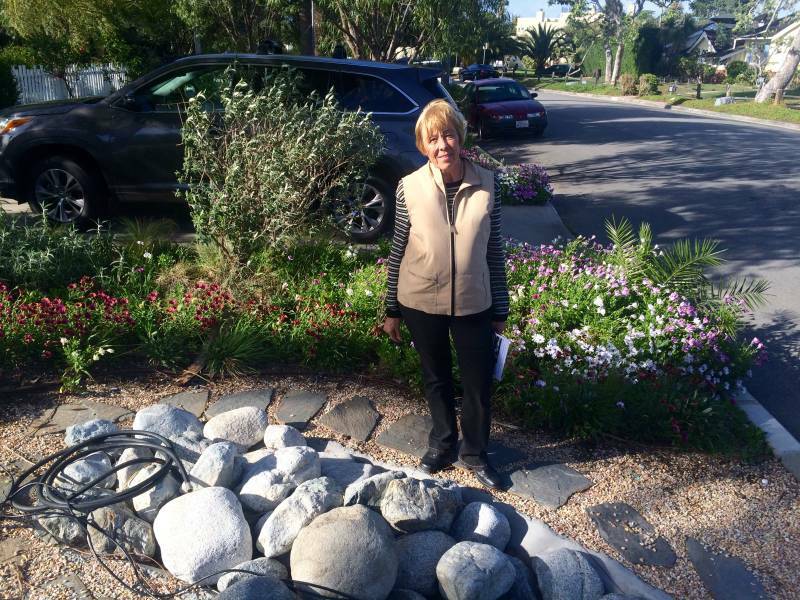 West Los Angeles resident Jeannete Vosburg isn’t waiting for someone else to take action. Along the wide street in front of her two-story home, she’s using guerilla tactics to intercept stormwater speeding by. She’s even tunneled under the sidewalk to snare curbside runoff, and connected the pipe to a cistern. In three cisterns buried around her property, Vosburg can store almost a thousand gallons. Her property now is fat with fruit trees, and thick with vegetables and vines. She has even built rock-lined pits to capture water her neighbors were letting go. Vosburg’s vision is to see her yard-sized model scaled up to catch runoff statewide. That’s a vision that will take years of planning and billions of dollars to fully realize.